A couple of days ago, Master P made a surprising but fitting return on the new remix to Usher and Young Thug's "No Limit," the fast-rising club hit that takes inspiration from P's game-changing record label of the same name. The NOLA vet guested on the (Thug-less) "G-mix" alongside Travi$ Scott, Gucci Mane, 2 Chainz, and A$AP Ferg. That was just the beginning for the No Limit founder, as he has just shared a new project, The G Mixtape, containing a total of 25 tracks. 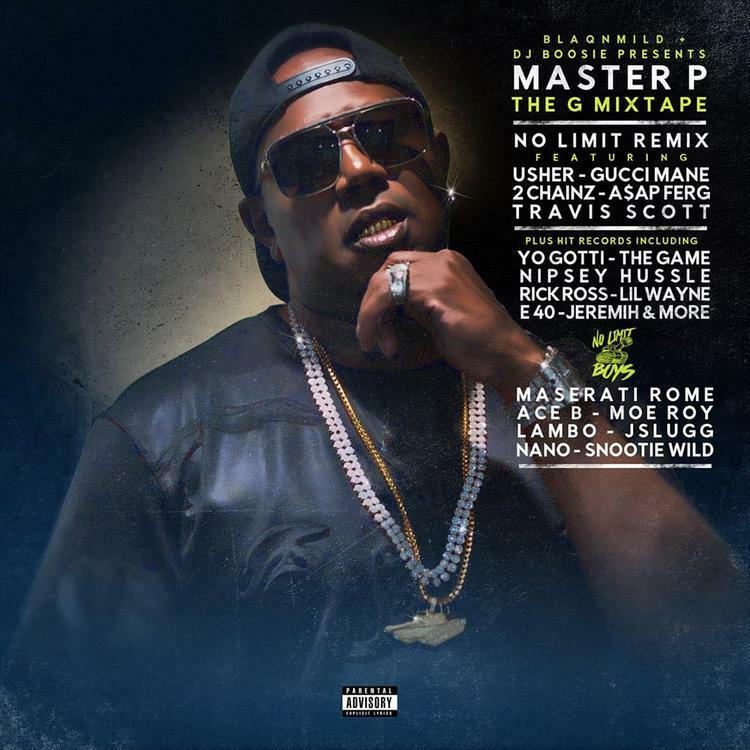 Master P still knows how to put together some big-time collabs. There are several impressive guest features on The G Mixtape, including Lil Wayne, The Game, Rick Ross, Yo Gotti, E-40, Jeremih, and Nipsey Hussle. The tape arrives as P is working on a No Limit biopic. He's clearly eager to reassert his status as a hip-hop luminary; how's he sounding on the music front?